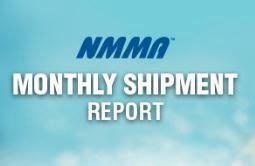 According to NMMA’s Monthly Shipment Report (MSR), U.S. outboard engine wholesale shipments closed 2018 up 5.9 percent, compared to 2017, for NMMA’s control group of manufacturers, representing 95 percent of the market. Click here to access the full report. Contact stats@nmma.org with questions.